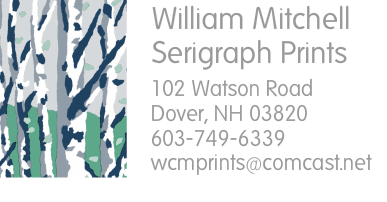 When Bill Mitchell isn't working at UNH as a digital prepress technician, he's immersed in his passion: serigraphy. To the artistically challenged, that translates to silk screen printing, but Mitchell's works are well advanced of what you would see strolling by the T-shirt shops at Hampton Beach. 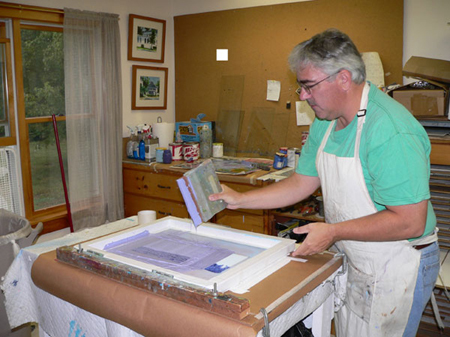 A juried printmaker with the League of New Hampshire Craftsmen, Mitchell has been creating color-rich scenes of the New Hampshire landscape since 1983. His passion for serigraphy began when he was a studio art major at the State University of New York at Oneonta, from which he earned a bachelor's degree in 1979. He drew his inspiration from the works of Alex Katz, Josef Albers, Andy Warhol and Richard Estes. He continued his study of serigraphy for a year as a diplomat student at the School of the Museum of Fine Arts in Boston. His artist affiliations include the New Hampshire Art Association and the Rochester Print Club. "Right off, I was really in love with the medium. I was drawn by the ability to print with solid colors. Serigraphy is more like a painter's print-making technique," Mitchell says. "It pulls my ideas together of transferring my paintings to prints. My prints start off as a painted sketch, where I put my ideas together. Then I decide number of colors I'll use and where colors will be placed. It's really planned out," he says. His first piece 20 years ago was a landscape of birch trees in the winter. Since then, Mitchell estimates he's created more than 100 prints, most of them landscapes. His many hiking and skiing adventures with his wife and twin sons are his inspiration. 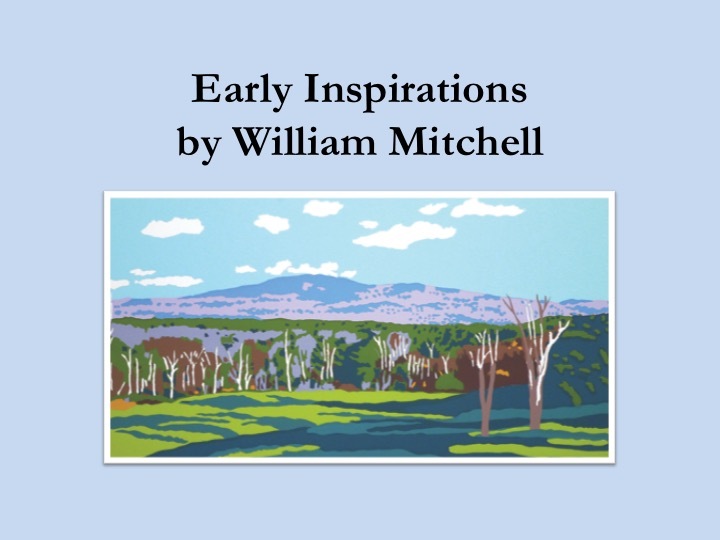 Many residents may even own one of Mitchell's prints: In 1996, the Bank of New Hampshire commissioned his purple-mountain "View From Indian Head" to use on its ATM card. "We live in a wonderful state, and in my spare time, I enjoy our scenery," he says. "I'm interested in the way light falls on objects and color. There's so much to paint out there." Mitchell explains that instead of using a screen for every color in a serigraph, he uses the traditional screen printing technique of working with only one screen. 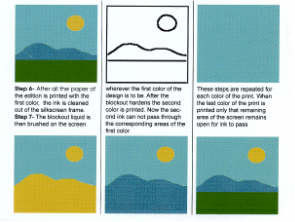 He then brushes on a block-out fluid on the existing color, so that it does not appear when he adds the second color. The next sequential color is then printed on top of the previous until the edition of that print is finished. "When I'm done, I'm done. There's no turning back. Sometimes you wish you had made more prints, and other times, you have too many," says Mitchell, who works out of his home studio in Dover.